PUNA, Hawaiʻi - Rates of seismicity, deformation, and gas release have not changed significantly over the past week, the USGS Hawaiian Volcano Observatory says. USGS: This scientist is using an infrared thermometer to record the temperature within the ground cracks. 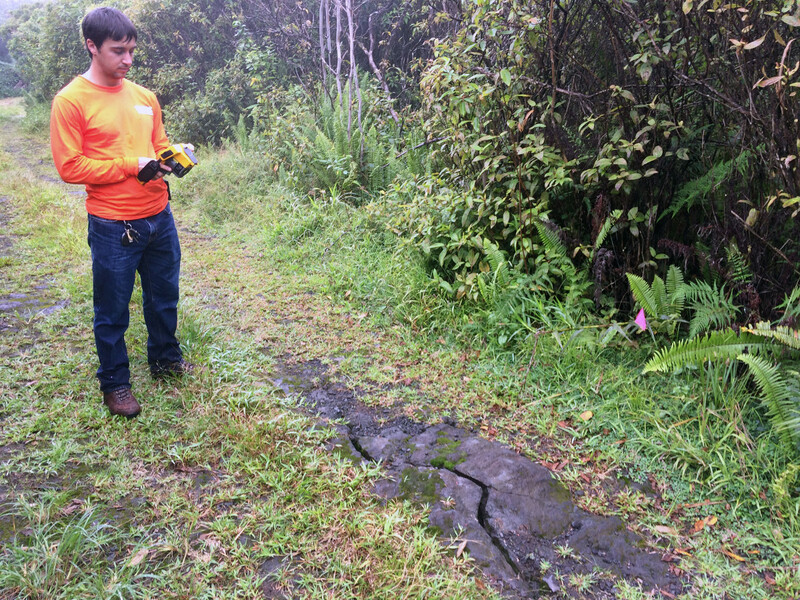 (BIVN) – USGS Hawaiian Volcano Observatory scientists continue to monitor some of the cracks in the lower East Rift Zone to check for any significant changes. Kīlauea Volcano is not erupting. Rates of seismicity, deformation, and gas release have not changed significantly over the past week, although deformation signals continue to be consistent with refilling of the middle East Rift Zone, scientists say. 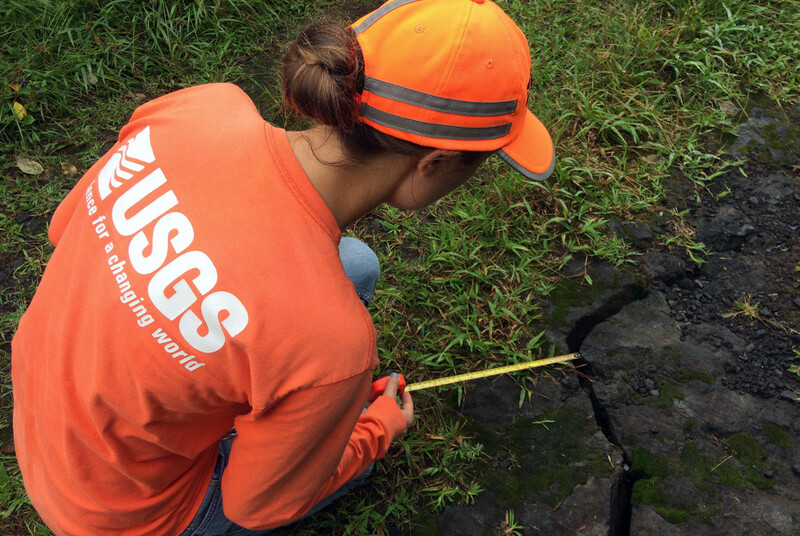 USGS scientists have been measuring and documenting the width of the ground cracks, even using an infrared thermometer to record the temperature within the cracks. “Other than temperature and crack width measurements, geologists also note any visual or audible changes such as steam and water boiling heard in the hottest cracks,” captioned photos on the USGS HVO website stated. Sulfur dioxide emission rates have been below detection limits in the LERZ since early September, though minor amounts of volcanic gas are still present. Last week, sulfur dioxide emission rates measured ~35 t/d at the summit as well as ~35 t/d in the ERZ. These most recent measurements are consistent with the extremely low emissions from Kīlauea over the past few months. HVO says it will continue to closely monitor Kīlauea for any sign of reactivation, and maintains visual surveillance of the summit and the East Rift Zone. The scientists will continue to issue a weekly update every Tuesday, and additional messages as warranted by changing activity, if any.